Your first experience with overseas marathon competition is bound to be an unforgettable one, not to mention you’ll be experiencing the added bonus of sightseeing another country along with it. 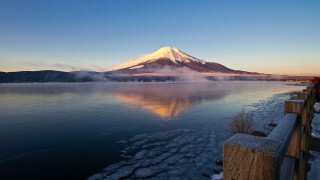 The 3rd annual Mount Fuji Marathon is held in Yamanashi Prefecture, Japan. This beautiful race laps both Lake Kawaguchi and Lake Saiko. 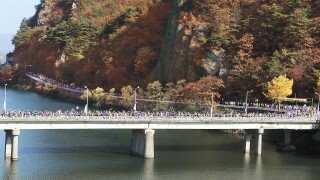 It will start out flat, then runners will encounter a hill in between the two lakes. 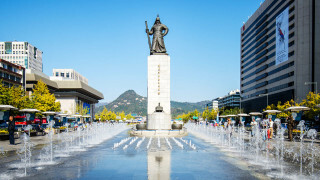 For the first time, Dynasty Travel in Singapore is organising two tour packages to Korea that will include a marathon race in Jeju Island or Chuncheon City. 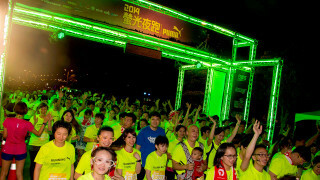 he Puma Night Run Taipei has been around for 8 years. With 10,000 runners and plenty of local Taiwanese celebrities taking part this year, it is one of Taipei’s most popular night runs and going strong. From the chaotic crowds of the Seoul International Marathon to the quiet hills of the Jeoje Imdo Run, there are plenty of opportunities for the avid runner in South Korea. South Korea is known as the land of K-Pop and kimchi, but did you know that there are some world-class marathon events held here as well? 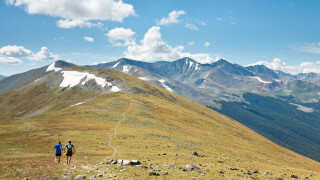 Both running and exciting vacation destinations have always been popular pursuits. However, in recent years individuals who enjoy a vigorous, healthy lifestyle bolstered by running have begun to take advantage of vacations abroad as venues for that activity. Singaporeans can now have opportunities to run at such scenic places based outside our little island to make their travel experience much more vibrant and memorable outside. Here, we’ll look at some of the world’s most exciting destinations that offer travel packages for avid runners, both for the professional athlete in training and the dedicated amateurs of the running world. 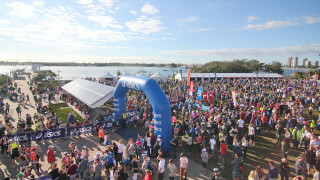 There are plenty of different reasons to run in the Gold Coast Airport Marathon and some people are going through this event more for the view than anything else. Gold Coast is home to some of the most beautiful beaches in the world, and there are plenty of people who vacation here without having any plans to run in the marathon. Located on the eastern shores of Australia, it is not hard to spend the day swimming, surfing or simply hanging out with friends and family members in the aftermath of the marathon. A new extraordinary event has just been added to this year’s race calendar: Vietnam Mountain Marathon offering unique trail runs of 21km, 42km and 65km. The event will take place 5th October 2013 in the northern part of Vietnam.